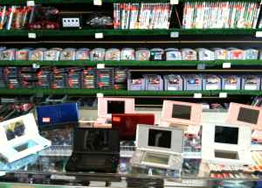 Second Hand Sports and Game Swap in The Colony & Denton is proud to be the cheaper alternative for all your favorite things since 1989. 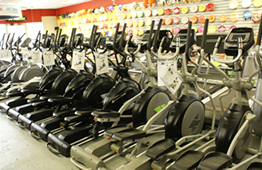 We buy, sell and trade new and used sports and exercise equipment, games and game systems, disc golf frisbees, etc. We specialize in fitness equipment such as new treadmills, bikes, ellipticals, benches, olympic and standard plates, dumbbells and bars. Our game systems range from Nintendo 64 all the way up to PS3's. 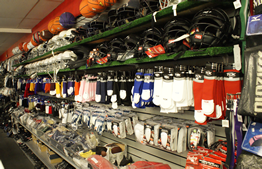 SecondHand Sports also has everything you need for your sports team. We invite you to stop by and shop with us, or call to see if we have what you need in stock. We are open in The Colony Monday-Friday 11-8, Saturday 10-6 and Sunday 11-5. Denton is open 10-6 seven days a week. We look forward to seeing you soon! Sorry, we have closed The Colony location so we can focus on serving the Denton location.